After a day at MontBleu’s Race and Sports Book, it is possible one might crave a beer or deli sandwich. Thankfully, neighboring bar and deli, The Zone, will satisfy your appetite. What’s more, this video poker bar has several TV’s for all your sports-watching needs. Join The Zone for their happy hour or Sunday and Monday football games. 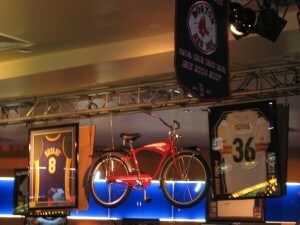 The bar’s framed sports jerseys suspended from an overhead ceiling create the perfect atmosphere for sporting amusement.